Unfortunately, the stakes are being upped in this strange and perverse game between Trump and Pyongyang, with increasing possibilities of China becoming involved. The US president has shown how incompetent he is with his threats against North Korea, which are a challenge to South Korea in the first place. 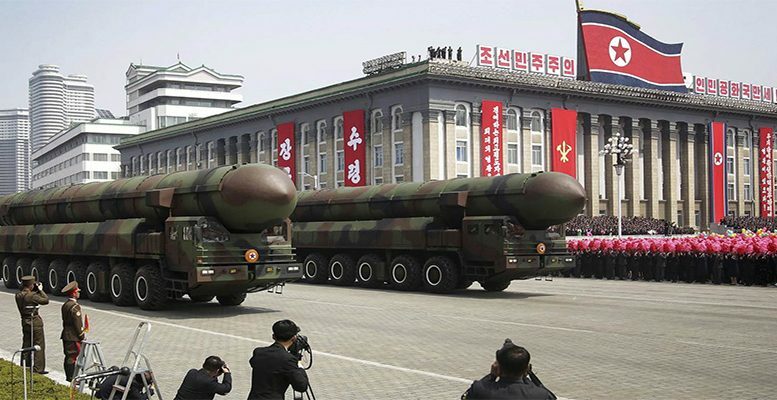 The possibility of a preventative strike from the US, as Trump has threatened, would logically break the ties South Korea has with its ally and protector, from the moment the latter unleashed a world war and destroyed its neighbour, leaving nothing standing. The US has tried to involve China more, a country which supplies energy to North Korea, by pressuring it to stop trading with Pyongyang. The US has also said it will be the first to attack North Korea if China doesn’t become tougher. But the effect of all this on a cornered Pyongyang is not very clear, if he sees that his regime and his own life would be in danger, with no reason to be the second one to attack. As Gideon Ratchman says, all of this would be difficult to handle in the hands of veteran politicians and experts, not to mention two madmen like Pyongyang on the one hand and Trump on the other. Their delirium is increasing the uncertainty to a massive degree. Neither can the responsability of former world leaders be ruled out. They could have taken preventative moves with less risk and not left the danger to increase to such as huge extent, as has happened. Pyongyang now has a devastating arsenal. When this story began with his father, the replication damages were limited. What is difficult to understand is the fact that the stock markets are passive, which seems to indicate that they only react when it’s too late, and violently. But it’s not that when most of the reaction is short-term speculation, there will be time to get out, so that those who are trapped suffer the consequences.